Being a landlord is a great way to earn income, but the residential real estate market isn’t without risk. If you’re buying into rental properties, be aware of what could go wrong and learn how you can protect your interests and your properties. Landlord Protection — What Are the Risks? While you can’t control everything, there is a lot you can do to reduce your risk. Consider the following steps. 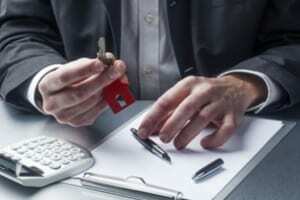 The lease is the strongest document you have to protect your rental property. A strong lease clearly spells out your rights and responsibilities, and the tenant’s rights and responsibilities — while complying with state and federal laws. Make sure your lease allows you right of entry so you can perform maintenance. Many states require you to give advance notification to tenants, except in cases of emergency. If tenants are responsible for certain maintenance tasks, such as mowing the lawn, list these duties in the lease. Specify when and how the rent must be paid, including any late fees for back-due rent. Make sure you’re following state rules regarding late rent in case your tenant threatens a lawsuit. Make sure your lease clearly defines what constitutes breach of lease — so you can legally expel a problem tenant if he or she breaks the lease. Get a customizable lease from American Apartment Owners Association. Our members receive the best prices on leases and other landlord forms, for easy rental property protection. First-time landlords often think they don’t need to check a renter’s credit history, or verify that someone is who he or she claims to be. All it takes is one bad actor to cause serious problems — from property damage to late or missing rent payments. Protect yourself from the stress of having a bad tenant by implementing credit checks with your rental application. This often turns away bad actors upfront, since people who know their credit is poor will often look for another apartment where they may have an easier time getting approved. In terms of how to protect rental property, one way to protect yourself is with adequate insurance. You might also wish to require that tenants get renters insurance, which protects their possessions. Insurance coverage kicks in after an accident or natural disaster, such as a fire in the house. Insurance also protects your liability. You never know who a renter could invite over or what could happen at your apartment. With liability insurance, your personal liability is limited if, for example, someone falls down the stairs and breaks an ankle. Without liability insurance, you could be held personally liable. Take these three steps to protect your rental property before searching for tenants. Each of these action items is easy to implement and protects you over the life of the rental. Learn more by becoming an AAOA member!